I have been a victim once of a fraudulent using my bank card. I always shop online because it is convenient for me in which I have to use my credit card. It connects my checking bank account to ensure I have enough funds with the transactions. One fine afternoon, I received an email alert from my bank account about the malicious transaction and a consistent purchase from different online stores using my card. It feels so scary for it never happened to me before, until that day. It’s not only one purchased but at least 5 transactions, which I immediately call and report it in my bank to close the card. The problem was solved right away, I was reimbursed the money being stolen, and I wasn’t able to find out where the transaction is coming from. Therefore, with what incident, I was a little bit hesitant to use my bankcard online to make any transaction. Glad to say that there is another way for me to shop online without becoming a victim of fraud again. I have the chance to work on a product review for Card.com. It is a debit card, where it is more secure than using my bank card. I can only put so much money on it, like the right amount of the purchase. They have over 1000 card designs online to offer their customers; I can totally create my own customized debit card. The online transaction during searching of the one card I want is simple, quick, and easy. Learning that you can transfer money through PayPal, or direct deposit through your bank. Setting up a direct deposit is the easiest way to reload your debit card, pay no monthly fees if you load over $800 in a month. No more, check cashing fees too. I received the card via USPS and I’ve chosen the Care Bear design. I have loved them ever since and I believe to own one would be a great way of remembering my childhood. 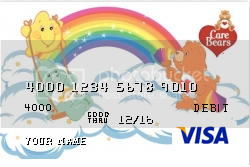 I like my Care Bear card and I am glad that I tried to get my debit card with my favorite design on it from Card.com. It also comes with a simple and quick ways to add money to the debit card. Another thing to remember in order to waive the monthly fee of $5.95 which isn’t bad at all, you can always add your direct deposit and load at least $800 a month prior to the 30 days. I used my card today at Walmart to purchase new curtains for our windows upstairs and the transaction goes very well. I used the card I don’t have any problem at all it is very quick and simple. You may always get your customized debit card @ Card.com. A disclaimer: This is not a sponsored post. I received Care Bear Card from Card.com free in exchange of my honesty review. The outlook I expressed is 100% exclusively mine. I really need to get one of these--it also stops you from over spending! And it does stop identity thieves more or less as well!! Never heard of Card.com before. I am not the one in charge of our finances so I really don't know much about credit cards and stuff....but I like the fact that it helps keep your spending in track. Interesting. I like personalized cards. I will look into it. I got a card from them too. I would have used it if I do not have a current bank. Its just that - too many banks, too many things to monitor. Nice card. Love to have one too. I am so sorry about that. It sure sounds horrifying when you find out someone has hacked into your account and spent the money you have. Anyway, it is nice to know about card.com and how lovely you get to pick your own design. I will have to look into this. Thanks for sharing! I always buy online too since we are far away from malls or any other stores where we want and need things. I always use credit card for online transaction and pay it off afterwards, it is safer that way. I like card.com. If only the maintenance fee is cheaper it would be great. 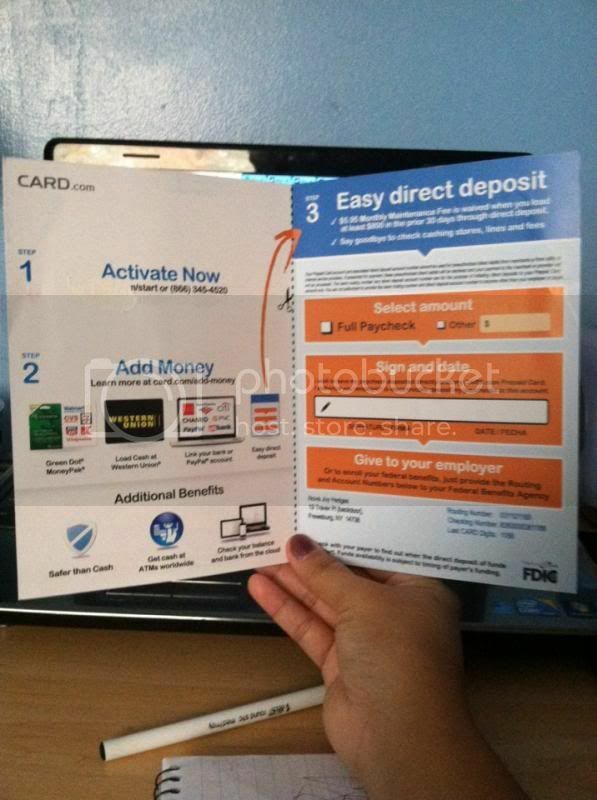 I like prepaid debit card, it's safer and I can keep up with my spending. But, they have maintenance fee and I prefer not to pay that amount every month..